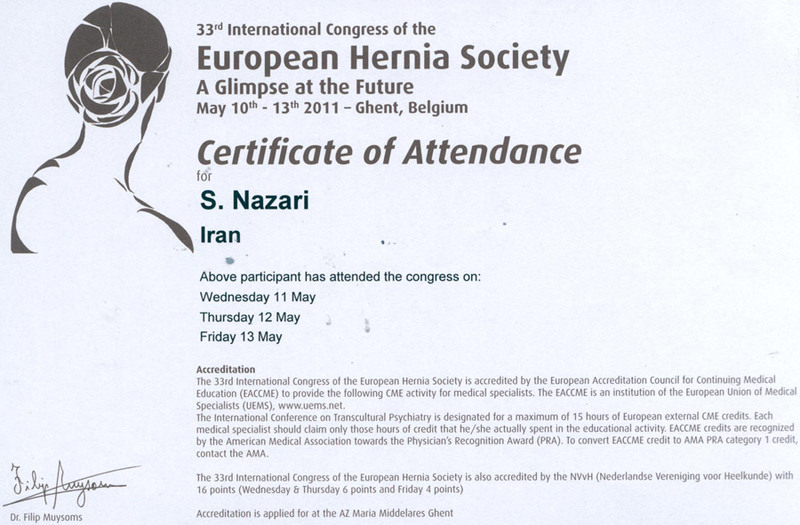 33rd International Congress of the European Hernia Society, Belgium, 2011. 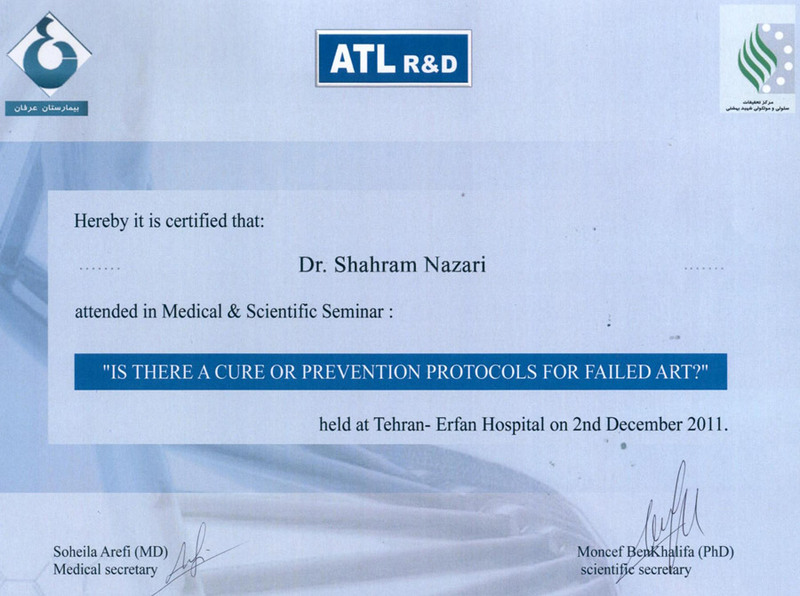 Is There a Cure or Prevention Protocols for Failed ART? 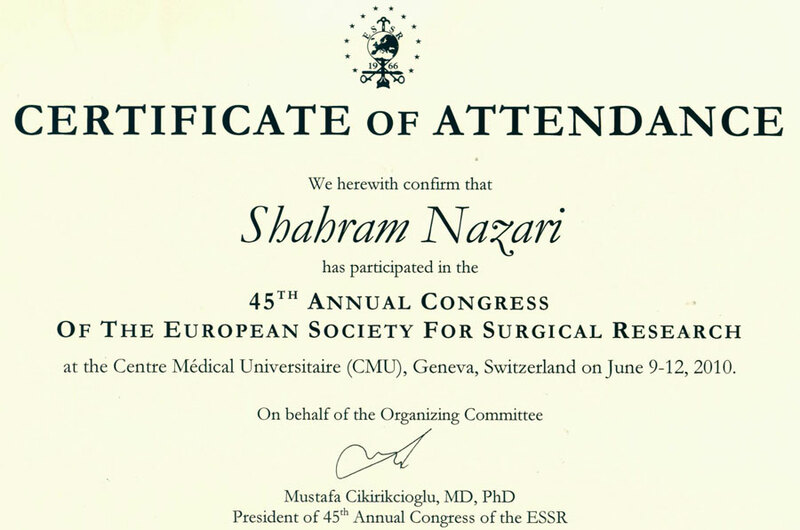 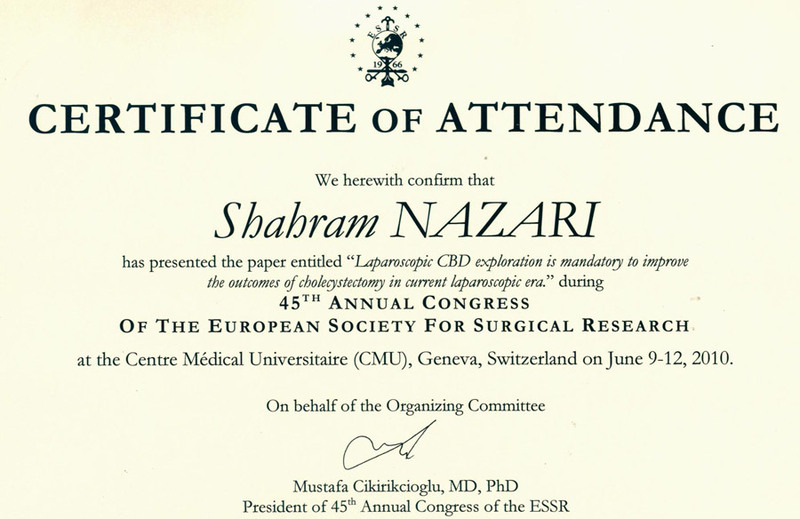 45th Annual Congress of the European Society for Surgical Research, Switzerland, 2010. 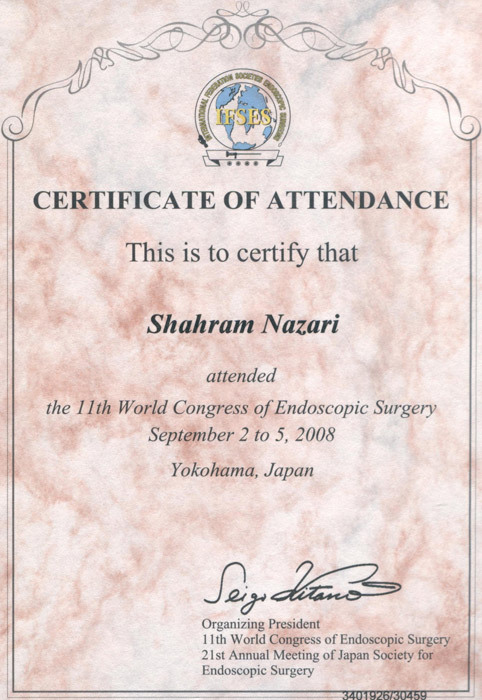 11th World Congress of Endoscopic Surgery (WCES), Japan, 2008. 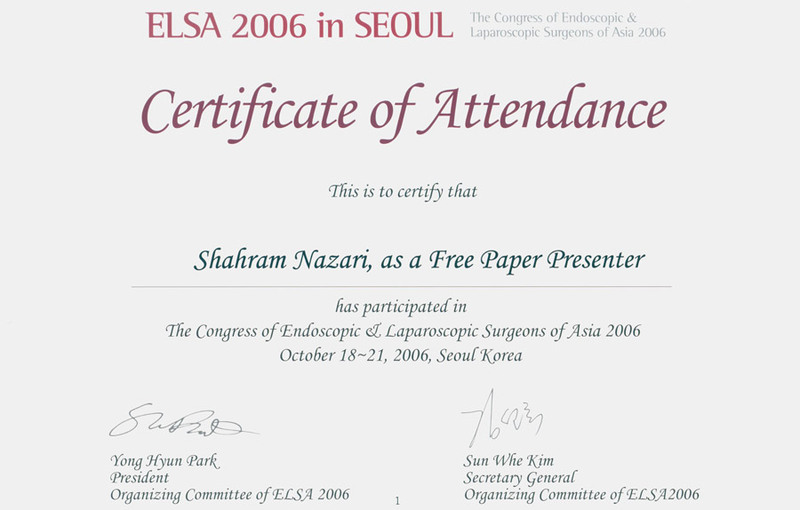 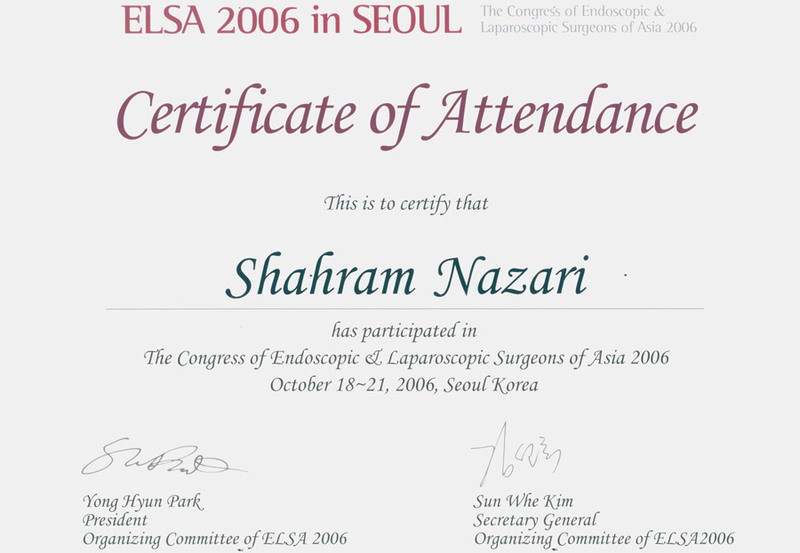 The Congress of Endoscopic and Laparoscopic Surgeons of Asia, Korea, 2006. 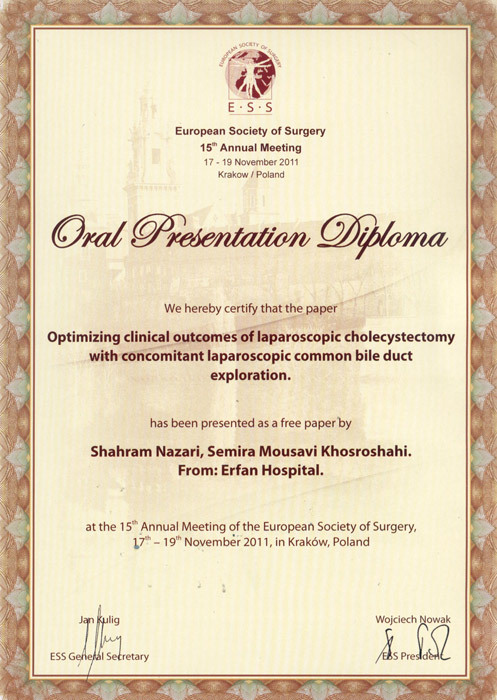 15th Annual Conference of European Society of Surgery, Poland, 2011. 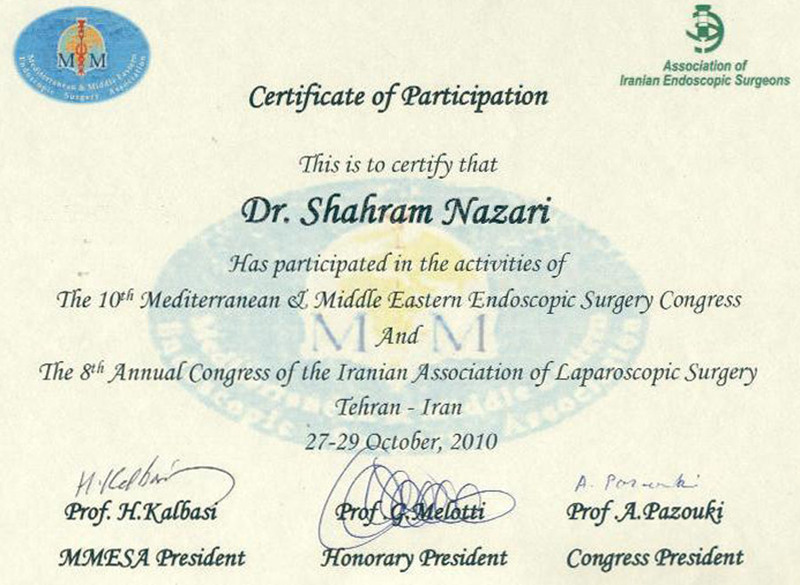 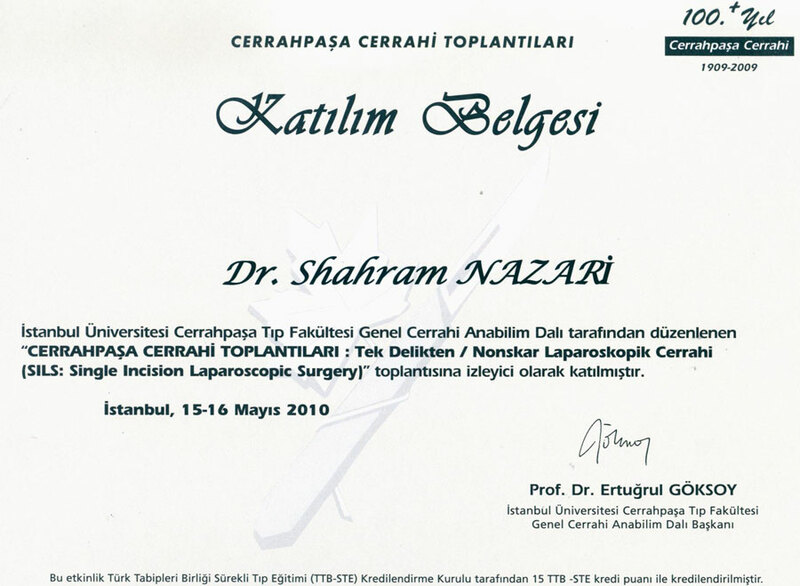 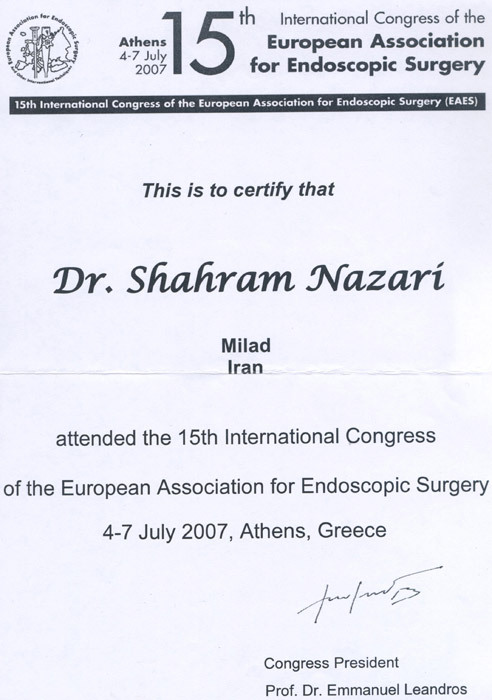 10th Mediterranean and Middle Eastern Endoscopic Surgery Congress, Iran, 2010. 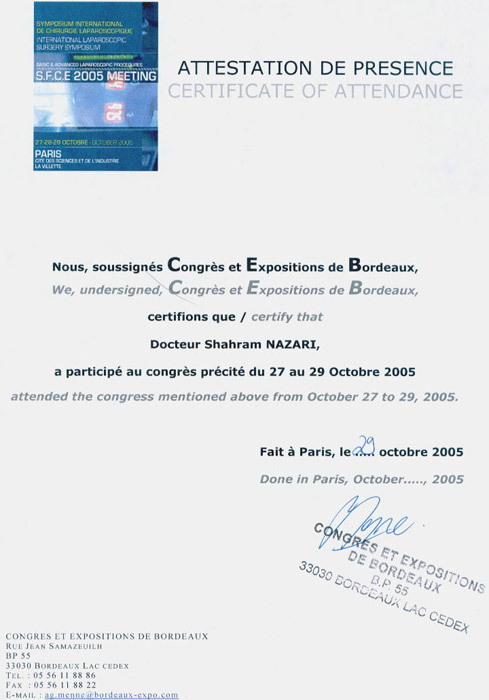 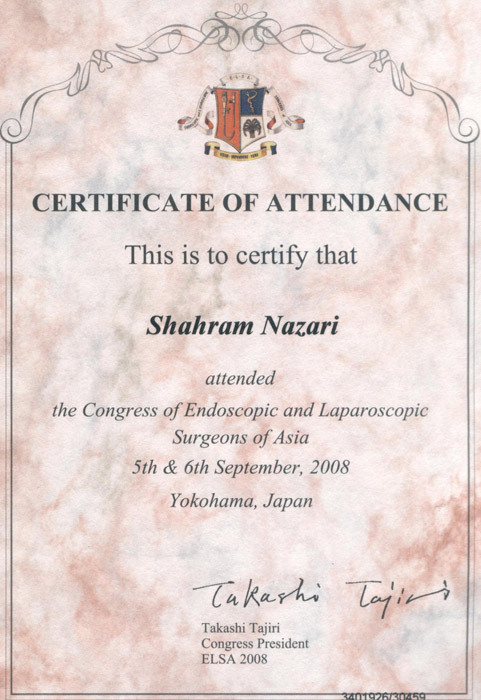 The Congress of Endoscopic and Laparoscopic Surgeons of Asia, Japan, 2008. 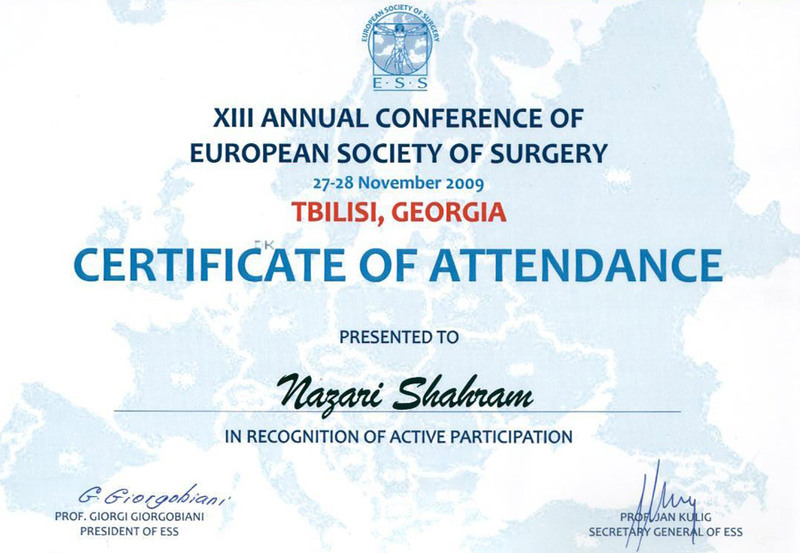 15th Congress of the European Association for Endoscopic Surgery, Greece, 2007. 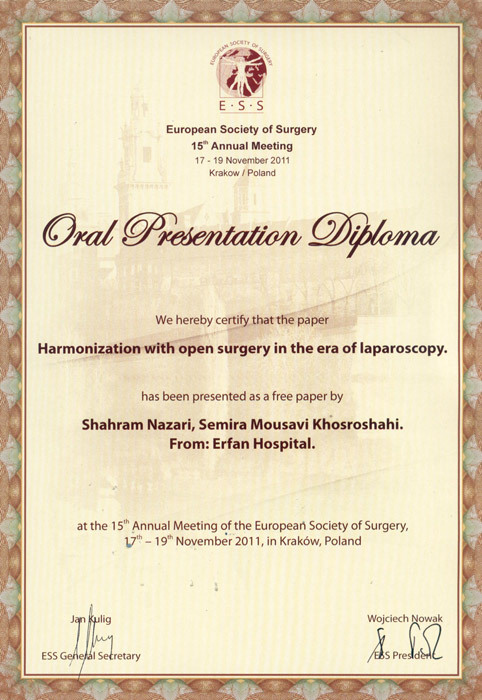 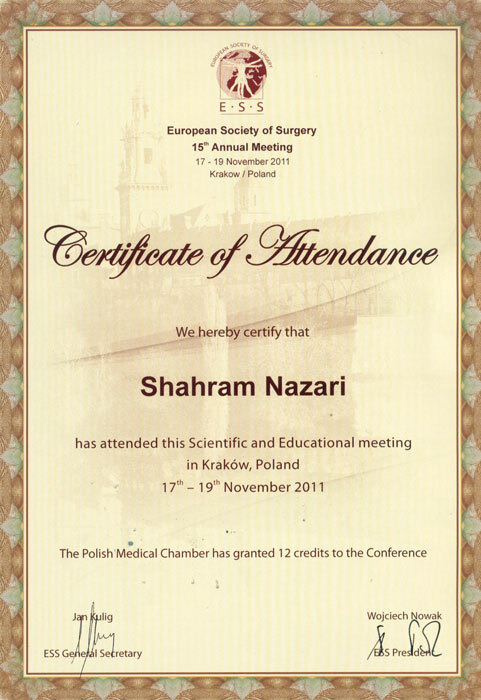 15th Annual Conference of European Society of Surgery (ESS), Poland, 2011. 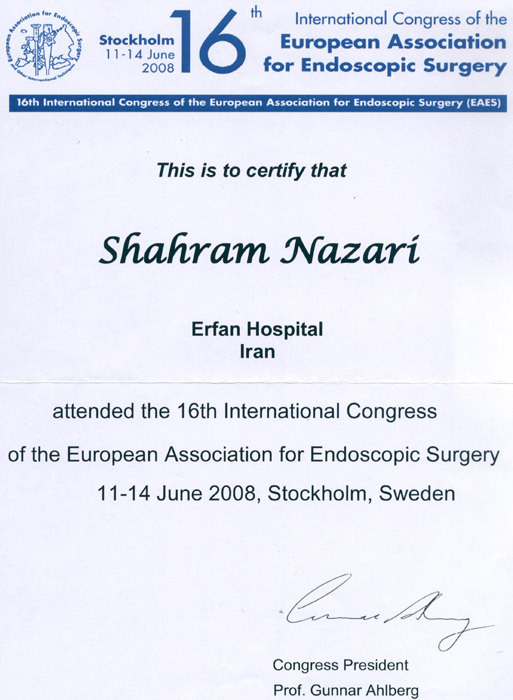 16th European Association for Endoscopic Surgery, Sweden, 2008.